Almost everyone needs to raise money for a worthy cause some time in their life, which is where our list of 12 most profitable fundraisers for schools, sports, and nonprofits comes in. Whether it’s for a band, camp, charity, or another cause, raising money always takes work. You’ll have to scrub a few cars or bake a few cookies most of the time. But the more enjoyable the fundraiser is, the better. That’s why it’s good to have as many ideas as possible. 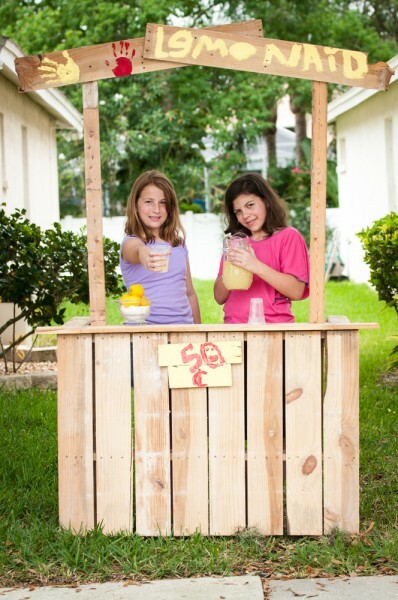 Some of these fundraiser ideas for kids are sure to be more feasible than others, depending on the situation. Maybe your uncle owns a pizza place, or your friend owns a stretch of land perfect for a large scale outdoor event. Find out what options are available for a venue, then talk to the ones in charge. Most facilities, whether restaurants or other event spaces are very willing to work with nonprofits, too. You’ll also have to figure out which materials are needed for the activity of choice. Don’t choose any activities that will cost you a fortune in materials. Fortunately, the ones below require very minimal materials. Put a few people in charge of different areas of the event; then the fun can begin. You can practice your salesmen skills as you invite and offer your product or experience to friends and family. In most cases, they’ll be happy to oblige. And you’ll be helping them out too- by providing them with a great experience and/or product. This is one of the best times of year to raise money, too. Not only are people crazy for things like candles and cookie dough, but they’re looking for gift ideas for loved ones. Fundraising can be hassle-free and even fun if you use the right tactics. A lot better than setting up a lemonade stand, although that would work too. Give them a try with our fundraiser ideas below. We got our ideas from a number of fundraising websites and blogs. These are also great sources of information if you still need more free fundraising ideas or easy fundraising ideas for small groups after reading this list of most profitable fundraisers for schools, sports, and nonprofits. The sources include Event Brite’s 100 Unique Fundraising Ideas that Actually Work, Sign Up Genius’s 50 Successful School Fundraising Ideas, Fundraising’s 15 School Fundraisers, Razoo’s Top 25 Sports Fundraising Ideas, Just Fundraising’s 50+ Fundraising Ideas That Are Easy and Profitable, Fundly’s Fundraising Ideas for Nonprofits and Individuals, Classy’s 25 Quick Fundraising Ideas for Nonprofits and Charity, Fundly’s Fundraising Ideas for Sports and Teams, Easy Fundraising Idea’s Sports Fundraising Ideas That Work, and ABC Fundraising’s High Profit Fundraisers. Each time a certain idea, such as bake sale or hula hoop contest, was suggested by one of the ten lists above, we gave it a point. This means the ideas mentioned the most times can be found at the bottom of this list. If a lot of credible sources mentioned it, the idea must be a good one, right? Many of us know from experience that some of the ideas below are tried and true. And if you’re interested in learning more about money, check out our lists of 10 biggest philanthropists who give to individuals and 6 easiest government grants to get for individuals. Time for our brilliant, fundraising ideas for high school, or whatever your specialty. Hope you enjoy!